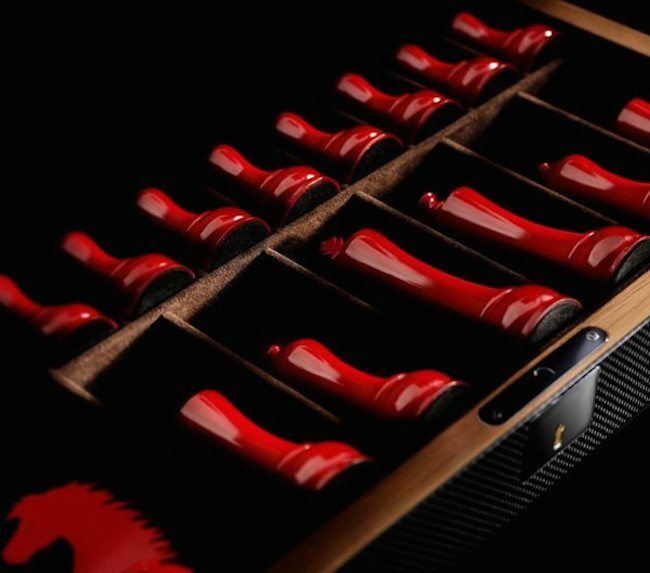 With the enamelled metal Ferrari shield on the front, the Ferrari Carbon Fiber Chess Set is the ultimate luxury set you can gift your chess playing friend for sure. 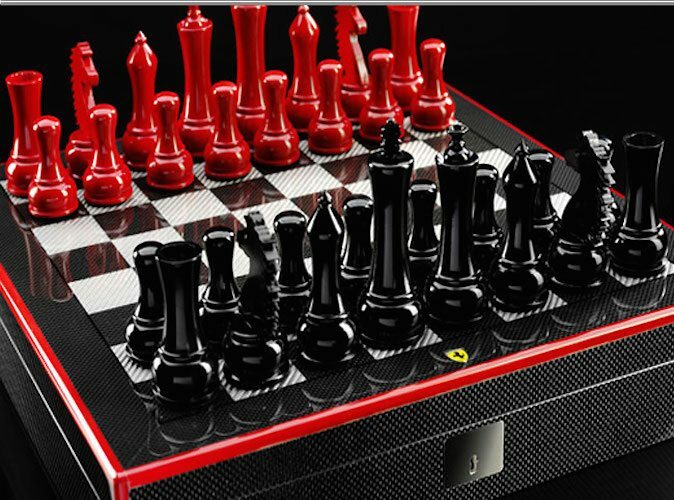 Apart from the chess pieces, it also comes with 16 black and 16 red pieces for playing draughts. 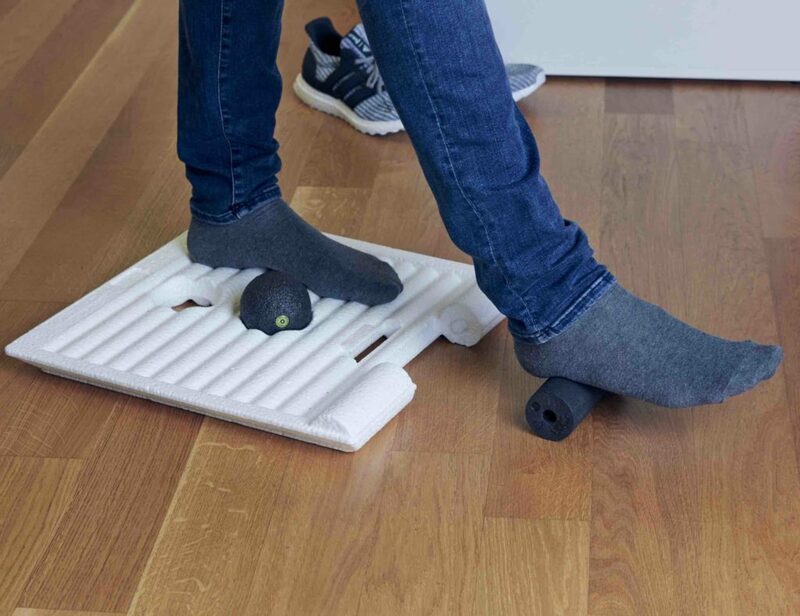 The board is constructed from carbon fibre covered wood with the playing area featuring alternate squares in carbon fibre and fibreglass. 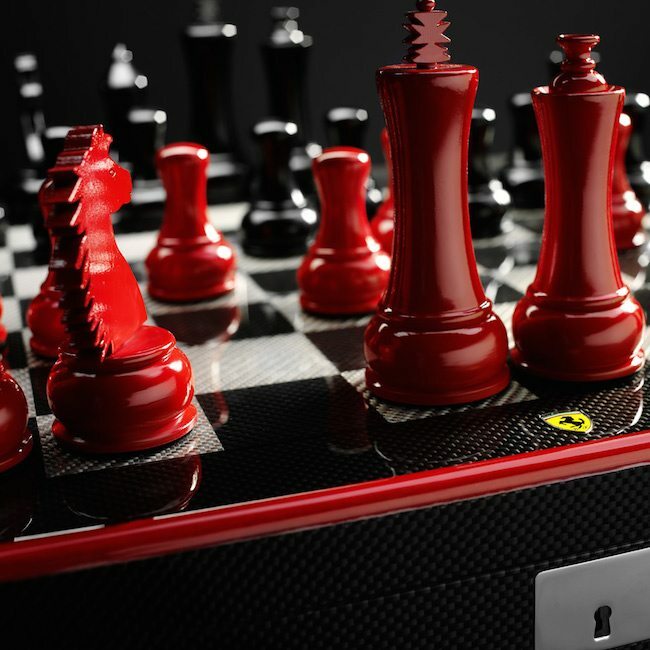 The pawns are a class worth looking at which have been made from black and red varnished wood. 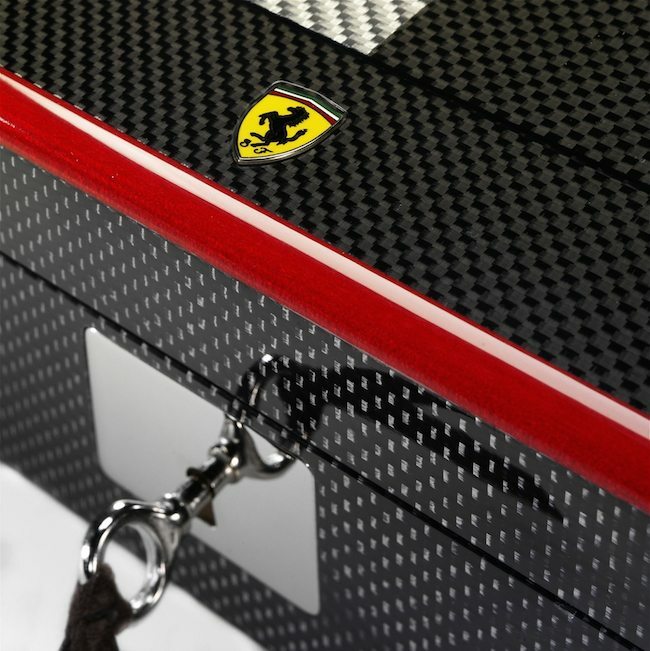 Out of these, the Knight is however inspired from the Prancing Horse. 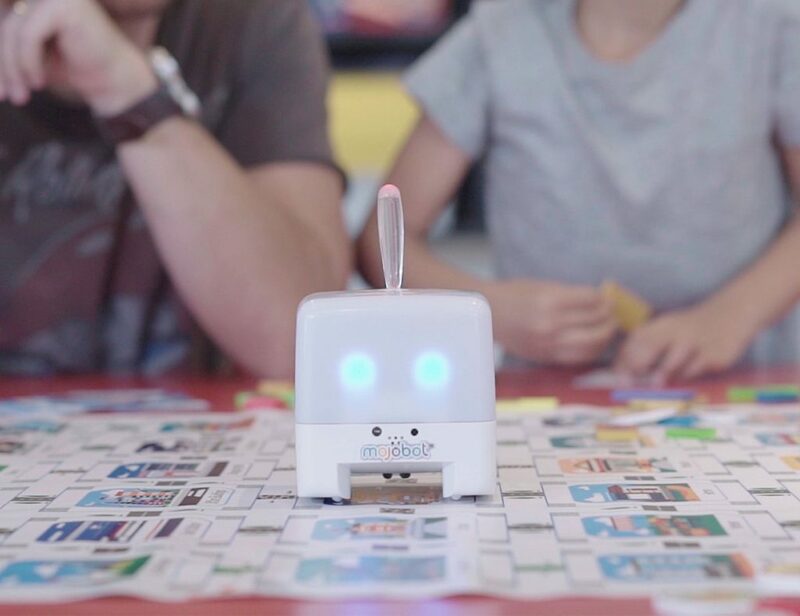 For those who value chess as their most favorite indoor game, this set is a must-have for your collection.